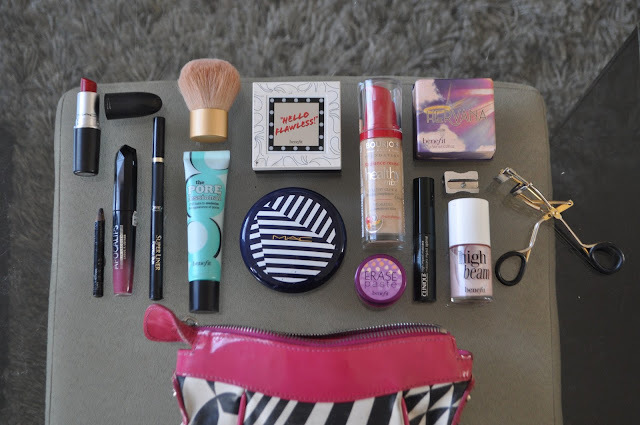 WHAT'S IN MY BAG. SPRING MAKEUP EDITION. JESS. | Life Looks Perfect. WHAT'S IN MY BAG. SPRING MAKEUP EDITION. JESS. After cleansing and lightly moisturizing my face, I begin with POREfessional by Benefit, which is a really lovely primer, it is a lightweight balm used to help minimise the appearance of pores & fine lines, creating a soft and smooth canvas to apply make-up. The formula is translucent and oil-free which is fantastic as it is suitable for all skin tones and types whoop whoop. Usually for my day to day look at work, as being the face of the office (ahh!!) I like to make sure that my skin looks immaculate. To do this, I actually use quite a few different products. The basics: foundation (Bourjois 'Healthy mix' review HERE), concealer, bronzer or powder, blusher and a highlighter (Benefit 'High Beam' review HERE). Gosh I can barely say that in one breath! Th clear face box has been ticked! I then keep it really simple for my eyes and lips; liquid liner (across the top eyelash line, using L'Oreal 'Super Liner' review HERE ) and a few flicks of mascara. The mascara I am using is the travel size Clinque high impact range, Becki has reviewed this product before (review HERE), but I have to say I really like it, I think the coverage on my lashes is great, you can build up to the 'high impact' look whilst avoiding getting clumpy lashes, I would definitely give it a massive thumbs up. 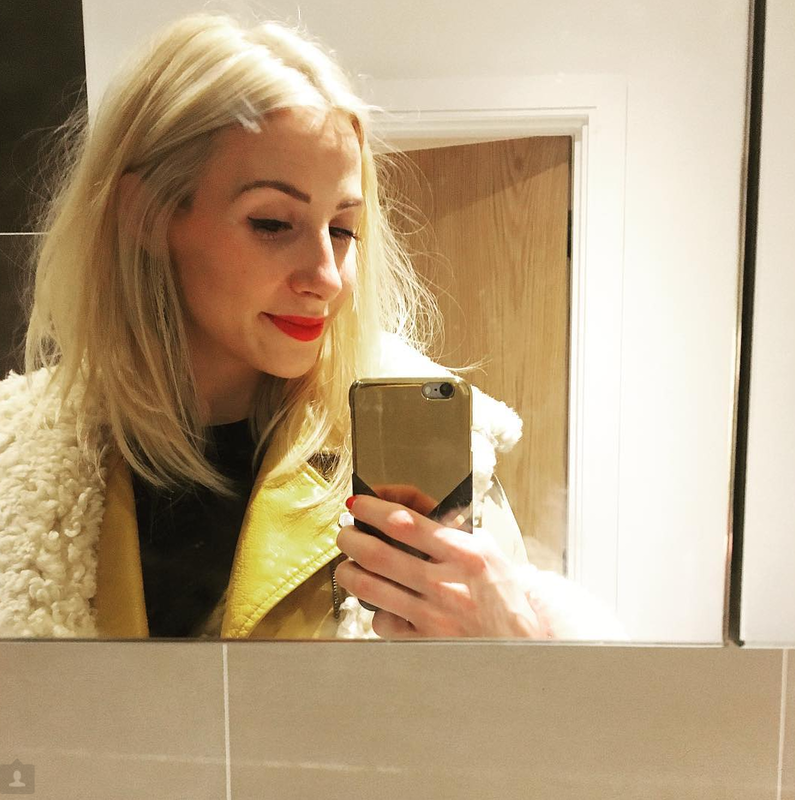 More than anything no matter what the weather or where I'm off to I always have to carry a bright lip stick in my bag, as you never know where the day may take you and the easiest was to transform your look from casual day to striking night is by applying a lovely bit of lippy. I usually keep Mac's Ruby Woo, classic red and the new Rimmel London lip lacquer range in Galaxy (review HERE). 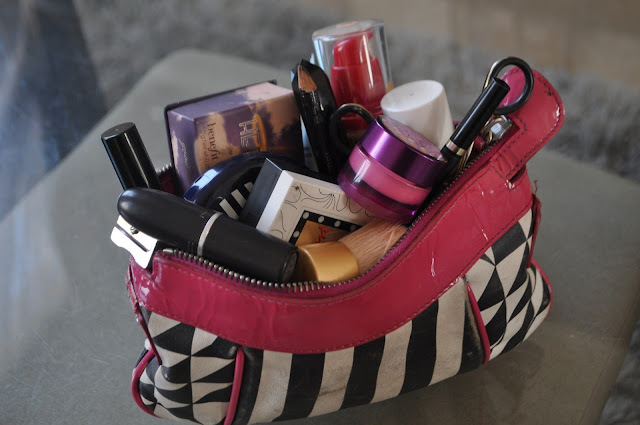 TAGS MAKEUP., WHATS IN MY BAG.